The Supreme Court has observed that the protection offered to a statutory tenant by Rent Control Laws can only be overcome by following the procedure laid out in such laws. 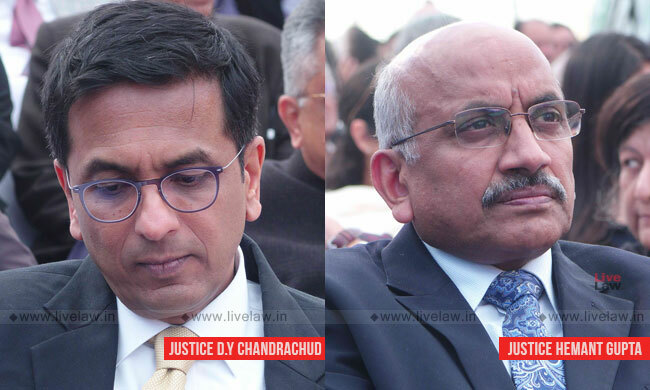 The bench comprising Justice DY Chandrachud and Justice Hemant Gupta observed that such a statutory tenant can be evicted only by following the procedure laid down in applicable rent control laws and not by filing suit for possession against him/her. Shiv Dev Kaur let out a property to Chander Parkash Soni for rent. The life estate granted to Shiv Dev Kaur had enabled her to create a tenancy and receive the rent from the tenants on the property. After Kaur died, the other heirs became the owners of the property. They filed a suit for possession against the tenant on the basis that the tenant was a trespasser after the death of Kaur. The trial court decreed the Suit. The High Court, in second appeal, dismissed the suit. "The remedy available to the appellants to remove the first respondent from the property is by pursuing eviction proceedings on one or more of the grounds available in the enactment. Section 13 lays down the procedure for eviction of tenants. Only upon the satisfaction of the Controller that sufficient grounds exist for eviction of the tenant can an order be passed directing the tenant to vacate the premises. The protection offered to a statutory tenant can only be overcome by following the procedure laid out in the enactment"
"The creation of the tenancy was an act of the person enjoying a life interest in the present case and was an incident of the authority of that individual to generate income from the property for her own sustenance. The creation of a tenancy is an incident of the exercise of such an authority. The protection which is conferred upon the tenant against eviction, except on specified grounds, arises as a consequence of statutory prescription under rent control legislation. The reason why the tenant is entitled to occupy the premises beyond the life time of the landlord who created the tenancy is simply as a result of a statutory enactment, in this case, the East Punjab Rent Restriction Act 1949. It is the intervention of a legislative mandate which enures to the benefit of the tenant. Once this has taken place, it was not open to the civil court to entertain a suit for possession founded on the hypothesis that the tenant is a trespasser."